In 1938 the need for a hospital in Slough was becoming acute. At the instigation of Mr Noel Mobbs, and under the auspices of the Slough social fund an appeal was launched to raise the required sum. Over £20,000 had been collected and substantial donations promised when the start of the Second World War made it impossible to proceed with the project. After the war Mr Mobbs realised that the responsibility of providing a hospital would be taken over by the NHS, which was then being planned. He turned his thoughts to the possibility of some form of health centre to meet the immediate need, and discussed this with his fellow trustees of the Nuffield Provincial Hospital Trust. The Trust and Foundation chose Industrial Health (Occupational Health) as one of the fields in which it wished to assist development. In addition to providing facilities for industrial health studies in universities, the foundation hoped to find an opportunity for encouraging the establishment of an industrial health service in and area in which there were a number of small firms. This interest in industrial health was part of a wider interest known as ‘Positive Health’. The idea developed that the health centre in which Mr Mobbs was interested might in effect be a centre for Industrial Health. Early in 1946 it was announced that the experiment would begin by developing a combined industrial health, rehabilitation and research service in Slough. It was hoped that from the experience of the proposed service answers could be found to certain fundamental problems in industrial health, particularly in so far as these affecting small firms. It was arranged that the official sponsors of the project should be the Nuffield Foundation, the Nuffield Provincial Hospital and Slough Estates. Slough was thought to be a favourable setting for the experiment of this nature, because of the concentration of industrial firms. As we have seen, there were a number of factories, both large and small, but the great majority were small. Another important factor in the selection of Slough was that Mr Mobbs, the chairman of the committee, was also chairman of Slough Estates. The next task of the committee was to appoint a Medical Director for the scheme, and this was done in June 1946. He had been in private practice for some 20 years and held a number of appointments including Local gas and light companies and the Coke company. He gained his administrative experience in the army, and was subsequently given the task of commanding the Airbourne Medical services from their initiation in 1941 to the end of the war. It was known that the NHS was to be instituted in 1948 and it was felt that it would be and advantage if the proposed industrial health service could be established as soon as possible. At this time there were some 200 firms on the trading estate, with a total of 20,000 workers, and it was estimated that there were another 100 firms with 10,000 workers within a 3 mile radius. In effect, the population at risk was in the region of 30,000. Environmental conditions in the factories compared very favourably with those found in small firms in other parts of the country. Fifteen of the larger firms had medical departments, and three of these firms employed full time medical officers, but two of these doctors were mainly concerned with production. Out of a total of 300 firms, 285 made no provision for the medical care of their workers at the place of work apart from conforming to the statutory requirements of providing a box stocked with first aid equipment. The objectives, as defined by the sponsors, were to provide a service which would meet the industrial needs of both large and small firms in the area. Particular attention was given to the provision of facilities for the recognition, investigation and control of hazards to health and safety in the working environment, and for the rehabilitation and resettlement of workers after illness or injury. The service was registered as a charity and as a non-profit making Limited company, with a council of management setting the strategic direction of the service. A pamphlet describing the objectives of the service and the methods which it was proposed to adopt to attain them was circulated to all the firms. This was followed by a personal visit by the Medical Director if an appointment could be made with the firms Managing Director. It was regarded as important that the first official contact with any firm should be through the Managing Director. There was various reasons for this, but in the main this policy was adopted to establish the status of the service from the beginning. If a firm joined the service the personal interest and support of the Managing Director did much to ensure the goodwill of all concerned. The reaction was a mixture of enthusiasm, apathy and antagonism, sadly very few were enthusiastic. The majority of employers accepted they had a responsibility for the provision of safe working conditions and facilities for emergency treatment. The main arguments which were produced against joining were that there was no proven need, that any need that did exist would be met by the NHS. Some considered that anything more than compliance with the Factory Act savoured of pampering employees, and that the cost was more than any small firm could be expected to afford in the absence of any reliable proof of any financial benefit. In Great Britain one million were known to be absent from work each day because of illness or injury, and this represented 5 percent of the labour force. Some 270 million working days were lost in a year of which 50 per cent were due to minor injuries or illness. If all industrial accidents were recorded and not just those which entailed absence the figures would exceed 50 million working days lost in one year. It had been established that the average cost to industry of working days lost through injury was £300 per incident and minor injuries cost around £25. It was pointed out to firms that the NHS would make no provision for the treatment at the place of work, and was solely concerned with end results, and not with the prevention of injury and disease. No attempt was made to produce a anything in the nature of a balance sheet by suggesting that there was a ROI model which could show the benefit. Experience in larger firms suggested that industrial health facilities did favour good working relationships. All agreed that there were hidden benefits which were not revealed in the balance sheets. Many firms claimed that accident and sickness rates were negligible, but on enquiry it was found that, intact, no accurate records were kept, particularly for uncertified absence. The need for the investigation of the working environment was rarely appreciated. The Chairman and Medical Director, attended meetings of the Slough Trades Council to explain the project, and to seek the support of the trade unions in the area. At the first meeting the discussion revolved round the question ‘What are the Bosses going to get out of this service’ It was explained that it was hoped the ‘The Bosses’ would get a great deal, namely, the promotion of the health and welfare of individual workers, for whose benefits the scheme was solely intended. The trades council eventually decided to give the service full official support. The Medical Officer of Health for the county of Buckinghamshire agreed to join the advisory panel and his lead was soon followed by the Medical officers for Slough and Eton. HAving the Health service on board was to prove of great value. The Medical Director visited staff at local hospitals and was encouraged by the interest sown and helpful advice he was given. All agree to co-operate. The project consisted of a central poly-clinic, two sub clinics located close to the factories, Medical departments in bigger firms and a mobile dressing station, in addition there was a residential Rehab centre and one ambulance. It was found possible to equip the following departments, Reception, Casualty, Resuscitation, X-ray, Ohysio, chiropody and records. The larger firms in the area who had their own medical departments and employed their own nursing staff now all worked under the professional direction of the Medical Director who visited them and the sub clinics regularly. 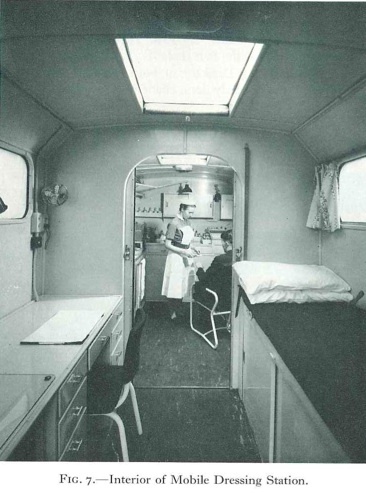 The success of mobile units in the army suggested the same principles could be used to the advantage for firms at a distance from the clinics, many of whom had no adequate facilities for the treatment of injuries or medical examination. 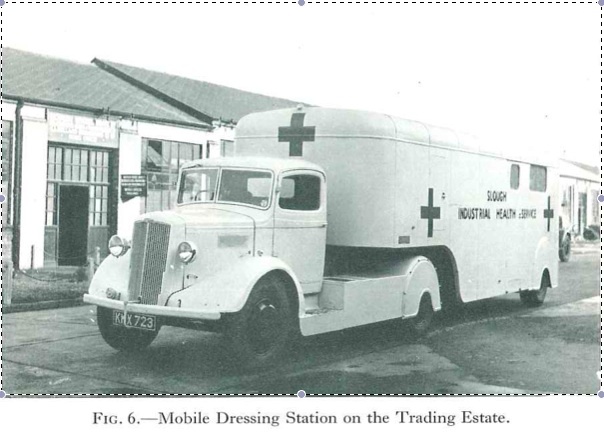 The Directors at Horlicks who already had their own medical department paid £4,250 for the first mobile unit. This was a very generous offer and helped support local firms. This unit proved to be of the greatest value, not only from the medical aspect in that it brought facilities for efficient and prompt treatment to the factory door, but as the average time of work for a dressing was now under five minutes, management and workers were given a practical demo of saving man hours. Farnham park, the former home of Viscount Kemsley, had been acquired as the residential rehab centre for the service. It w as within reasonable distance of the local hospitals, and it was estimated with a little alteration it could provide accommodation for 60 in patients and 30 out patients with the required living in staff. This period of hectic endeavour was not without incident, the central clinic was vandalised when youths broke in and did wanton damage to the furniture and equipment. Worse was to follow. With great difficulty linen had been obtained to the value of £1,000. Early one morning, as workers arrived they found a driver of a van having some difficulty getting his van through the gates. Under the impression he had been delivering goods, they assisted him only to find on entering the house that the linen store had been broken into. It was appreciated that while suitable accommodation and a certain amount of equipment was required, the success of the service would to a large extent depend on attracting staff with the required personality and ability. This presented a very real problem in that there was no security of tenure, neither was the service in a position to offer salaries which in any way could be regarded as a financial inducement. These handicaps in the end proved to be of advantage, in that a nucleus of staff was formed of men and women who were prepared to take a risk, who were not concerned with pensions or long term security, but who were united in their determination to make the venture a success. Great credit is due to these pioneers in all grades, who in the early days were prepared to turn their hand to any task which would further the interests of the service. On 1st May, 1947, The Central Clinic and the sub clinic were opened, and responsibility for the professional administration of the medical departments in larger firms was taken over by the service. If you would like to know more about Corporate health please do note hesitate to contact us. The blog was recreated from extracts of ‘Venture into industry’ ‘The Slough Industrial Health Service 1947-1963’ Author A.Austin Eagger. Can you say categorically that your organisation doesn’t have a Drug and Alcohol problem? Does your organisation have a D&A policy in place and do you fully understand the benefits of having one? The cost of alcohol misuse to the UK economy is £6.4 billion each year and alcoholism effects 4% of adult UK workers. And according to one drug researcher, 1 in 30 employees in the UK has drugs in their system at any one time in the workplace. So you can see that having a D&A policy in place can very easily and very quickly have many positive effects to any organisation from a wellbeing and legal point of view. Implementing a Drug and Alcohol policy within the workplace is an easy thing to do, but there are consequences in getting it wrong, for employer and employee. It is easy to get help to get it right. We are here to help. Corporate Health, in partnership with Field Seymour Parkes LLP and Synergy Health, have the pleasure in inviting you or a colleague to our networking and HR community forum event on the 11th April in Slough, from 9am to 11am. This will be a great opportunity to firstly network amongst fellow HR peers as well as with a legal professional and industry expert, as well as with an Occupational Health specialist. During this open discussion, our team of experts will advise and discuss key problems areas for HR concerning drugs and alcohol in the workplace. 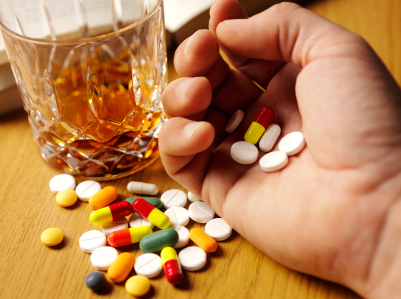 Substance misuse in the workplace can cause accidents, increase long-term sickness and bring about compensation claims. If you want the answers to these questions and related issues, we invite you to come along to our free event on 11th April here at the Corporate Health offices in Slough from 8.45am to 11am. Please email marketing@corporatehealth.co.uk with your full name, company name, email address and telephone number. Please also advise us of any dietary requirements. Note places are limited, so we will be issuing places on a first come first served basis. If you would like to submit any questions or issues to discuss in advance of the event, please also include these within your registration email. If you have any questions, regarding this event, please call 0845 6807875 and ask for Nicole Martin. 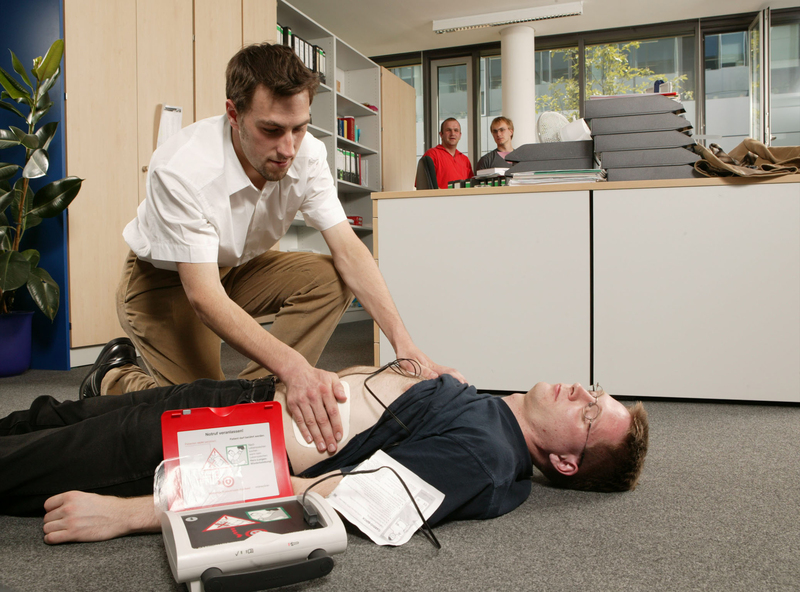 Defibrillators for Non League Football Clubs – Does you Business have one? As Football reacts to the the events of last year when Fabrice Muambe collapsed in front of Thousands the real question has to be does you business have this life saving equipment available for your employee and visitors. The cost of a machine with training is around £1,500 and all you need to do is fix it to a wall and plug it in. It really is that simple to save a life. To see this life saving equipment in actions and how easy it is to use <Click here> and watch our Bondi Beach video. More than 900 defibrillators are being made available to clubs in non-league football and the Women’s Super League. The FA and British Heart Foundation have joined up to launch the £1.2m fund, one year after Fabrice Muamba’s on-pitch cardiac arrest. Muamba, 24, collapsed playing for Bolton during their FA Cup quarter-final with Tottenham on 17 March 2012. The England Under-21 international midfielder was “in effect dead” for 78 minutes but survived the incident. Using the equipment is so easy yet so many of us are afraid of the unknown and shy away thinking what if I have to use it, can I make things worse! well the questions has to be what if I don’t have the equipment and don’t Try! the equipment really is that simple a child could use it and its self managing so wont shock the patient if there is a heart beat. Is the question most asked by the present day visitor to this progressive modern industrial town some 20 miles west of London. The events below all contributed to Slough becoming a centre of industry and the prime location for our service. In 1673 Slough was the second stage out of London for stage coaches making the journey between London and Bristol and as such assumed great importance. The inns used by travellers were a centre of local entertainment, business and even acted as make shift hospitals for the treatment of road casualties, typically fractured skulls or broken bones of those being flung from the stage as they were tossed along the route. In 1786 William Herschel came to Slough. 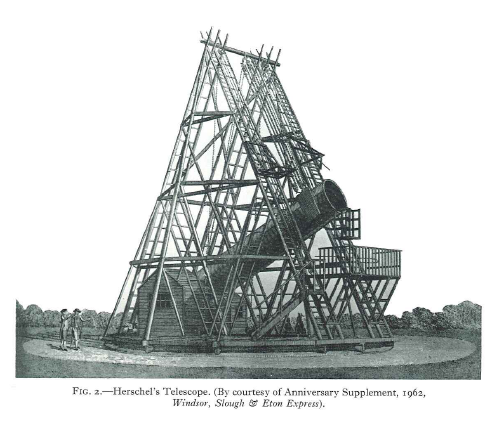 In the grounds of his new house known as the observatory he erected his famous reflecting telescope in 1789. In 1835 a bill was passed which authorised the Great Western Rail Company to build a line between London and Bristol. It reached Slough but the provost and Eton college were not happy and wanted to stop the construction, they feared the railway would have a bad effect on discipline. Though their objection was overruled the college did have a clause agreed which meant no station could be erected within 3 miles of Eton, so no station for Slough. 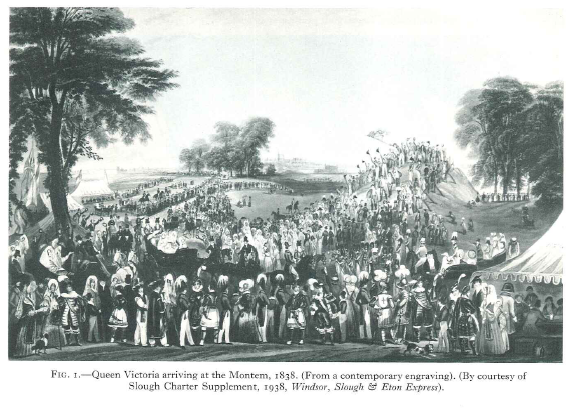 Maidenhead was the first stop, however in 1838 the railway company provided trains to take the Eton boys from Maidenhead to London for Queen Victoria’s coronation. 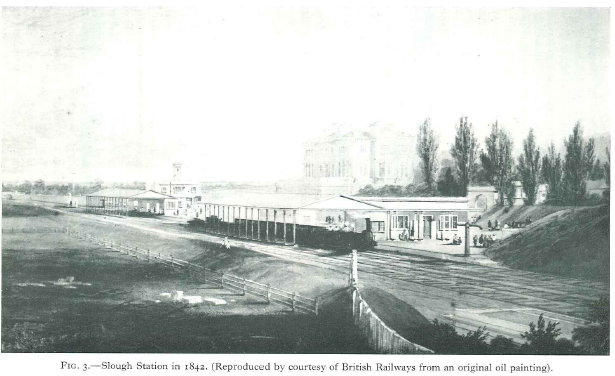 After this the college withdrew its objection and in June 1840 Slough station was opened. Queen Victoria took her first train journey from Slough to Paddington, it is worth noting that the journey took just 25 mins a journey time which hasn’t changed much today. In 1843 an improved telegraphs system was initiated between Slough and Paddington and it is said it was the first in the world to be used daily. A London merchant who murdered his mistress in Slough was arrested as he stepped of the train in Paddington. This gent created two records, the first to be tracked by means of telegraph and the last person to be publicly executed in the county of Buckingham. The Railway brought about the start of Sloughs industrial growth, but before this Slough was known for its brick making and purpose built kiln which provided the bricks for Eton college in the 15th century. The pioneer of industrial Slough was Mr James Elliman, the founder of a drapery store decided to put a factory for the manufacture of embrocation in Slough. On Jame’s death his sons purchased an extensive site in Slough High st where a further factory and offices were built. James gave over £100,000 to the development of social services in Slough. Thomas Nash in 1870 established the Slough and Langley brick fields, which by 1908 were producing 14,000,000 bricks per year. James Horlicks returned from the USA and in 1906 built a factory to produce Horlicks malted milk employing over 800 people. At the beginning of the 20th century slough was a small town with a population of 7,400, by 1961 the population was 80,503 in 2010 we are close to 130,000 residents. During the war 1914-1918 the war office acquired some 700 acres of land in Slough and formed a mechanical transport repair depot. In 1918 when the war ended it was decided that the army transport should be brought to the depot to be repaired and sold, some of the older residents nick named the trading estate ‘The Dump’. In 1920 the Slough Trading Company purchased the depot and its contents. 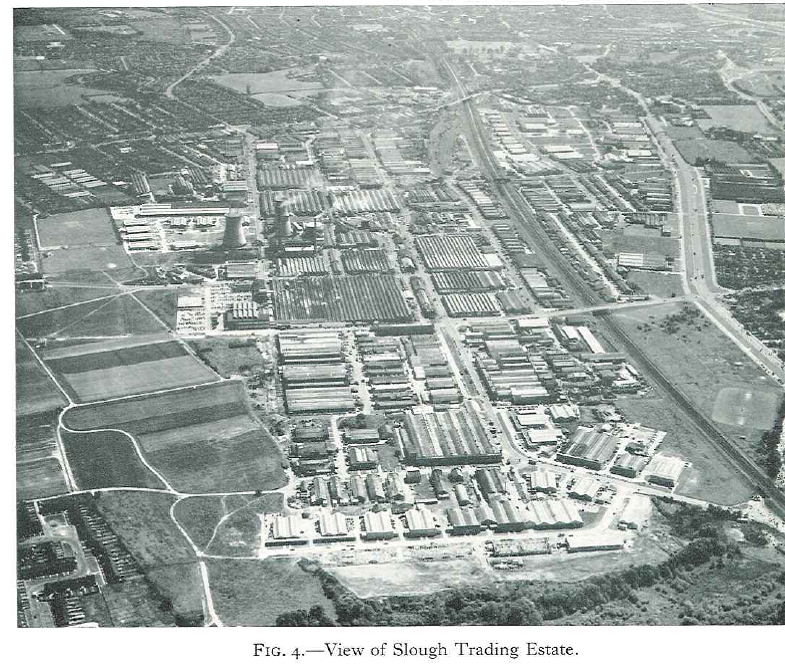 In 1925 The Slough Trading Company Act was passed and under the astute leadership of Sir Noel Mobbs (who was our first chairman) the estate was developed with its own station, internal rail tracks, water mains, plant for the production of gas and electricity and factories of various sizes. The company was renamed Slough Estates Limited (Now SEGRO). By the middle of 1930 there were 100 firms on the estate employing over 8,000 workers. They included the likes of Mars Ltd and Citroen Cars. The wide variety of industries ensured that Slough was not seriously affected by the the Industrial depression. Slough Estates made available land for the building of 2000 houses for employees of the firms on the estate, Slough council built many more. The industrial development far outpaced the residential developments so thousands of men and women travelled to Slough from the surrounding areas and London. This workforce demand resulted in the building of great rail and road connections to allow fast travel to the town. 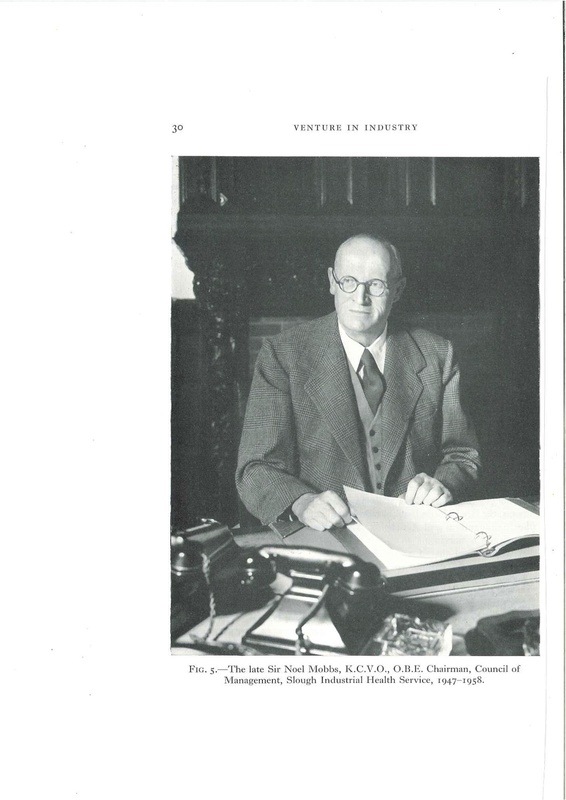 A man with a vision and ability, Sir Noel Mobbs who died in 1959 recognised that the prosperity of his company (Slough Estates Ltd) depended on more than purely material factors. It is not surprising, therefore, to find that it was he who took an active part in the formation of the Slough Social fund, the Slough Council of Social Service, the community centre and the Industrial Health and Occupational Hygiene service (now Corporate Health) In 1936 Sir James Horlicks and Sir Noel Mobbs created the Slough Social fund ‘To promote the health and education of the people of Slough by the provision of opportunities for healthful and interesting leisure tim occupations and recreations.